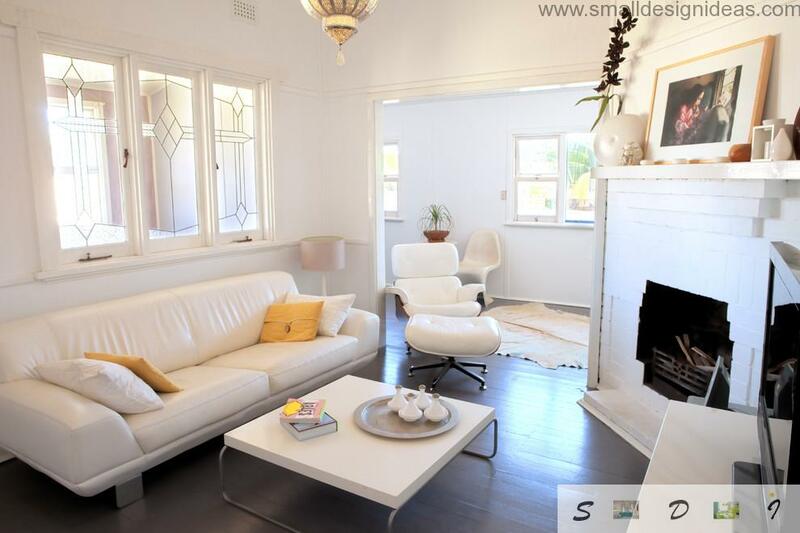 It often happens that even in the small living room you need to have another zone, in addition to leisure segment. It can be a workplace, a place for creativity and a dining area. It is obvious that the use of partitions, screens and other enclosing elements in the modest sized room with is unacceptable. They conceal the space, clutter it. The easiest way to implement conditional zoning is to imagine the furnished rooms, inscribed into geometric shapes – triangle, square or rectangle. Picturing in imaginary vertices the main pieces of furniture of a certain segment, you can achieve an ergonomic and rational plan of even a small room. For example, vertices of the triangle in a small living room are sofa (soft zone), television (video area) and dining group (dining area). The room will achieve a sufficient amount of free space, if you do not use excess furniture and will try to confine wall decor. Our vision is arranged in such a way that the smooth and plain things appear to us greater in size than the color and texture. You can use these visual illusions “proximity” or “distancing” of required surfaces. If you paint a smooth wall in a single tone, and dispose the plane designed, for example, in the form of brickwork next to it, people will perceive they in different ways. Thus, it is possible not only to zone the room, but also to focus anyone entering the room to objects we need – pieces of furniture, art or decoration. Another effective method among the small living room decorating ideas is to use asymmetry and irregular shape of the room to their advantage as much as possible. If the room is in the attic with ceilings having a large slant, try to have seats and low storage systems at a lower ceiling height. If the room of an original layout has niches or cubby-holes – you can always build in storage or equip soft seating there. In this case, it is enough to wall lamp hang at the abutting wall and a reading place is done. Most European and American homeowners can not imagine the comfort and convenience of the common room to relax without the family hearth – the fireplace. It`s not only in the Hall of Fame among small living room decorating ideas, it`s the tradition and indispensable attribute in the interior of every self respecting family. The popularity of this piece of furniture, which is capable not only to warm the room, bring an element of natural relaxation, but to design and decorate a living, is growing among Eastern European/Asian homeowners. If in the framework of the construction of a private house construction of a fireplace does not cause any obstruction but your desire and the presence of a certain budget, in a city apartment or condo you will probably need to confine yourself with electric imitation of the fireplace or fake hearth, the purpose of which is limited to lighting candles and aroma lamps. Equipment of the fire won`t take too much space. Besides, the space above it can be used for the organization of TV-area or for hanging a large mirror in a beautiful frame, which in addition to the main destination will visually increase the size of your living room. 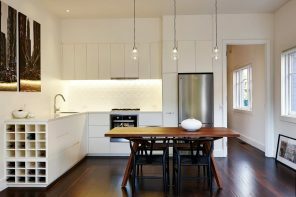 Lighting plays a particularly important role for smaller spaces. If you have the ability to increase the amount of natural light in your small living room by increasing the size or number of windows – this can not be ignored. But more often (especially in the framework of the dwellings in blocks of flats) to solve the problem of insufficient light is possible only by means of artificial light at different levels. The fact that the living room has a fairly small size, does not say that to create the necessary atmosphere will be sufficient only one central lighting fixture – the chandelier. If your room is conditionally divided into zones (workplace or dining room), it is necessary to ensure each functional segment of the living room with its own lighting system. For the mini-cabinet it can be desktop sconce or wall lamp-lighting, for recreational areas – a chandelier and floor lamp. Built-in lighting system is capable to blur the boundaries of your small family room. And it’s not only about familiar lighting lurking in the depths of false ceilings, and LED strips. Try to combine different means and systems of lighting within one space. But not overdo: small spaces do not stand the cluttering and redundancy. To get more clues, we are modestly propose your attention the most trendy ways of lighting of the small living rooms.